Length gauges from HEIDENHAIN offer high accuracy over long measuring ranges. These sturdily made gauges are available in application-oriented versions. 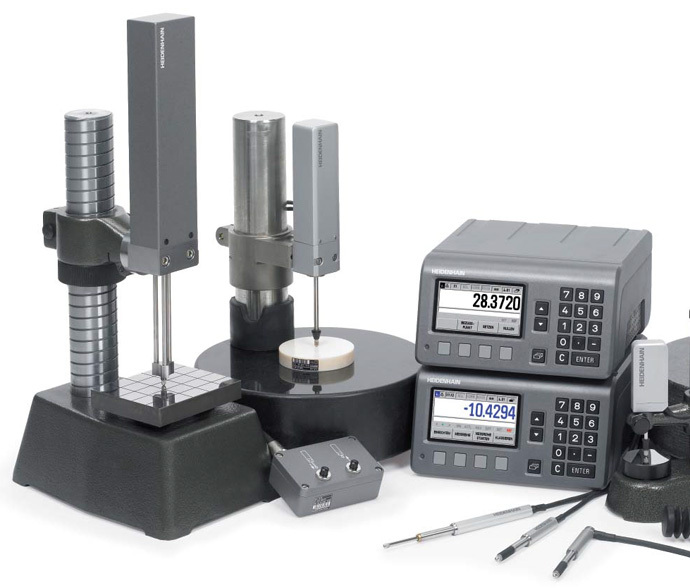 They have a wide range of applications in production metrology, in multipoint inspection stations, measuring equipment monitoring, and as position measuring devices. HEIDENHAIN length gauges are built for an industrial environment. They feature consistently high accuracy over a long period of time as well as high thermal stability. They can, therefore, be used in production equipment and machines.